If you didn’t come out to the tennis courts on January 14, you missed a great time! Everyone got a chance to demonstrate their athletic talent and participated in bowling, golf, Bolla ball and lots more! No one accomplished all of the games, but they certainly had fun trying. Remember, you could only use a tennis racket and tennis ball. Everyone did earn a free soda. The tennis team from Basha High School was a great help, and the kids really got into serving using the radar gun. The fastest serve for the men was 100 mph, and the women was 90 mph. Congrats to the winners; they each won $50. We were very excited that Ray White’s family was able to join us, and Ray’s grandson Daniel has grown to be over six feet tall and is quite a baseball pitcher. We offered him tennis lessons, but he declined. 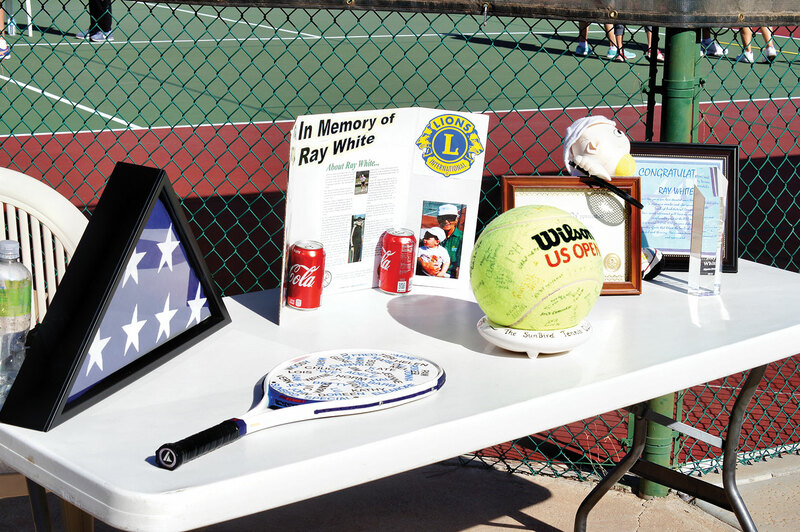 The SunBird Tennis Club was pleased with the turnout for a first-time charity event and, again, wanted to thank all of their supporters. Southeast Valley Tennis League has completed nine weeks. The SunBird Sabrs have moved into second place, and the Crush is still in fifth place. Our latest social tennis tournaments were against Sun Lakes, Palm Creek and Springfield, and our record was two wins, one loss. Beginner program will be winding down this month, but plans are in the works to add another five weeks before the end of April. Our two ladies’ teams are each in the middle of the pack in Valley of the Sun Ladies League. The Sunchix are in fourth place, and the Volley Girls are in fifth place.